Due to advancements in technology, increased outsourcing, and globalization, students are not necessarily graduating law school and entering a big law firm on track to become a partner. A legal career can take you into a solo practice, a virtual practice, electronic discovery, in-house counsel for a startup, or in an alternative direction using your services in a different way. If a lawyer is choosing an alternative career path over a mainstream model, how do they select a legal career? What can he or she do in law school to prepare for the legal industry in the twenty-first century? 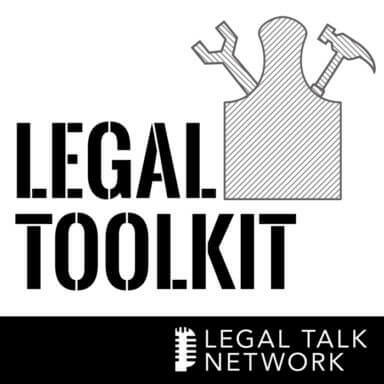 In this episode of The Legal Toolkit, Heidi Alexander interviews Alison Monahan and Lee Burgess, founders of the online resource Trebuchet Legal, about the steps to creating an alternative legal career path and what students should be doing in law school to prepare for the future. Monahan and Burgess each discuss their beginnings in big law firms and why they decided to seek out paths of advising other lawyers. To take a different path, they explain, lawyers must be interested and willing to take risks, learn new skills, and take the plunge. Seek out entrepreneurs or experts in your field of interest, ask questions, network, and make connections. Law students are taught to learn, Monahan explains, so it is possible for lawyers to become educated about alternative subjects that might lead to unknown legal careers. With regard to law school, Monahan and Burgess urge students not to simply expect a job after graduation. In order to be truly successful, you must learn to be an amazing student, pursue excellence in a craft, and develop confidence in your abilities while still in law school. Lastly, they encourage all current and potential law students not to be discouraged. There is still an incredible need for lawyers in many fields. Lee Burgess co-founded the online resources Trebuchet Legal, Law School Toolbox, and Bar Exam Toolbox. Additionally, she founded and runs Amicus Tutoring, which provides an individualized approach to law school tests and bar preparation. Alison Monahan also co-founded Trebuchet Legal, Law School Toolbox, and Bar Exam Toolbox. She also founded and runs the Girls Guide to Law School, a site that helps students get the most from their law school experience. Heidi Alexander: Hello and welcome to a new episode of the Legal Toolkit, here on Legal Talk Network. I’m your host, Heidi Alexander. I’m also a law practice advisor with Massachusetts LOMAP. LOMAP provides free and confidential law practice management consulting services to Massachusetts attorneys. For more information on LOMAP’s offerings, visit our website at MassLOMAP.org. So here on the Legal Toolkit, my co host, Jared Correia and I, provide you with a new tool each month to add to your own legal toolkit so that your practices will become more and more like best practices. I’ve gone to great extremes to bring you today’s podcasts, having spent the past weeks digging myself out of Boston’s snowmageddon. I’m finally back in my office and ready to record this exciting podcast. So today, we’ll be chatting about the 21st century legal career. As we’re all aware, legal jobs – traditional ones, that is – post law school graduation are few and far between; requiring job seekers – whether you’re new to law or transitioning from a traditional legal job – to think a little bit more creatively. So I’m excited to have Alison Monahan and Lee Burgess on today as my guests. These two are women who are forces to be reckoned with. Alison and Lee have co founded two companies together: Trebuchet – and I’m not sure if I’m pronouncing that correctly, so if one of you would like to chime in, I’d also like to know where you got that name. Alison Monahan: To be honest, we’re probably changing that name soon for the exact reasons that you identified; no one could pronounce it. Our friend, Tyler Coulson, the guy who walked across the country with his dog, is actually the one who came up with the name. You might know we’ve thrown previously a conference called Catapult, twice, that had to do with legal careers. So Trebuchet is a type of French catapult, because we were having some IP issues trademarking, actually, catapult. Heidi Alexander: Okay, well at least I got the pronouncing correct. So you’ve got Trebuchet Lega, which is a legal career counseling firm, and you’ve also founded a couple of companies with easier to pronounce names, I guess. The Law School Toolbox, and Bar Exam Toolbox, which is a Bar exam prep service and an online resource guide. Alison also founded and runs the Girls Guide to Law School, a site that helps law students get the most from their law school experience, which was previously named one of the top 100 blogs by the ABA Journal. And Lee founded and runs Amicus Tutoring, providing individualized approach to law school tests and bar prep. So I’m not quite sure how these two found the time to join me today, but since they’re on the line, let’s hear what they’ve got to share with us. So thanks for joining me today Alison and Lee. Alison Monahan: Thanks so much for having us. Lee Burgess: Yeah, thanks for having us. Heidi Alexander: So you both began your legal careers at law firms, but you pursued careers alternative to the traditional route; and this seems to be more and more common these days, particularly with respect to technology. How would you both define the 20th century legal career and what does that look like from your perspectives? Lee Burgess: Do you mean the 21st century career? Heidi Alexander: Well, that would be – we could talk about the 20th century. Lee Burgess: I mean, we do need to talk about the 20th century before we can talk about the 21st. Heidi Alexander: Yeah, we can go back there. No, my preference would be the 21st century but thank you for the correction. Alison Monahan: I think it’s an interesting question. I mean, the essence of lawyering in some sense hasn’t really changed in the sense of being a trusted advisor and giving people advice, but the world has changed around us. And I think it’s an interesting conversation whether this sort of downturn in the legal profession is a result just of the economy and the recession that we are emerging from. I saw a chart yesterday that suggests maybe not, versus sort of a more structural change in the profession that has to do with things like technology and outsourcing and globalization and all that kind of stuff. So my best answer is it’s hard to say exactly what the 21st century legal career looks like, and I think in some ways it looks similar to the 20th century where you’re giving advice to people about the law, but I think in fundamental ways, it potentially looks quite different. Lee Burgess: Yeah, I think that’s right. I also think that one of the things that’s changing from the new lawyer perspective is this idea that your legal career has to be the traditional jointed firm, try and become partner, that kind of linear track, just isn’t as appealing anymore or there are more options for people to explore. And I think technology has a big thing to do with this because people can open solo practices out of their homes. Virtual practices are becoming much more prevalent, which allows people to offer legal services in many different ways that they haven’t before. So I think the traditional path of, you graduate from law school, you get a firm job, you work at that firm, you become partner; that path just isn’t necessarily the only option. And then I think as our world changes, the economy is supporting different types of legal jobs. Maybe you’re not practicing law but maybe you’re working in e-discovery, or maybe you’re working inhouse for a startup. There are so many new legal issues that are happening in our world that I think the need for lawyers is changing constantly, which creates new opportunities for people. Heidi Alexander: So in terms of different types of jobs or alternative jobs to the more traditional model, do you have to be a certain type of person or are there certain qualities that you need to have or even skills? For example, you both are very entrepreneurial, clearly; tech-savvy and willing to take risks, but not everyone falls into those categories. So how do people figure that out based on their strengths and weaknesses, and which type of career – whether it’s traditional or alternative – that they’re aligned with? Alison Monahan: Lee and I kind of laughed, both of us were sort of accidental entrepreneurs. If you told me in law school that I would be running a business, I would have said absolutely not, you’re crazy. I have no interest in business, I have no skills in that area, I wouldn’t even begin to know where to start by doing marketing or anything like that. So this ide that we’re sort of inherently more entrepreneurial than the average person, I’m not sure is entirely accurate, I mean it has a similar story. Tech savvy, we’ll buy that, I used to be a web developer. But I think the point here is just you learn to do the things that you need to do and there are lots of resources out there. So when I was still working at the firm and I wasn’t really quite sure what direction I was going to go but I was pretty sure I wasn’t going to be there that much longer, I actually took a course online on marketing. I thought, this is something I probably need to know if I start a solo practice or if I do something else. I didn’t really have a clear conception but I just thought, this is something that I don’t know, I need to know, and I should probably take steps to know. And it turns out that this stuff is not rocket science, they’re just things you can learn. And about the willingness to take risks, I think there’s a really intriguing book on this called The Start-Up of You, and it’s written by the founder of LinkedIn. I think it’s a really good one to sort of reconceive how you think about your career in the 21st century. Lee Burgess: Yeah, Alison and I talk a lot about the fact that attorneys are trained to be risk averse, that is part of our training. And to give up that traditional path and leave the firm and do something different is a huge risk. And I think a lot of people struggle with just the fact that they have to do something that’s against the gray and against the norm. I consider myself pretty risk averse and it was a tough choice to leave the promise of the law firm career but I knew it wasn’t going to make me happy in the long run. And I think I totally agree. I also consider myself an accidental entrepreneur. But just like Alison, which we had not met at this point, I was also sitting in my big firm office at lunchtime reading documents on how to set up LLC’s and teaching myself what it would be like to run my own business by myself. And so I think exploring those options even while you’re even doing your other career – we sometimes call this starting the side hustle – is a really great idea. Because then you can test the waters and see if you’re going to be comfortable going in that direction. And you have to be willing to learn a lot of stuff. We had to learn – we still learn – every day, something comes up that we didn’t know about. If you’re not in a place where you like challenging yourself to do things that you’re uncomfortable with all the time, then it’s probably a better idea to work with somebody else. Lee Burgess: At the same time, I think lawyers have been trained to do research. So you should have some confidence that whatever comes up, you’re probably going to be able to figure out what resources are there to help you know what you need to know, because that’s essentially what we’ve been trained to do. So I think lawyers in some ways, when they do decide to go out and do something differently, do have an advantage over say, a designer, who has no idea how to use the library, because we know that we can learn things. We’ve learned lots of different types of law, whenever you have a case you have to get up to speed really quickly. So that’s something that lawyers are already quite good at. Alison Monahan: And we’re good at asking other people for advice when we don’t know what we’re talking about. Lee Burgess: Some of us are. Alison Monahan: It can be helpful to be able to say instead of trying to become an expert at employment law, maybe I’m going to call an employment lawyer and get some questions answered. Heidi Alexander: I think that idea of asking for advice is important too because if you’re looking for a different type of job or you’re thinking of leaving a firm, you have to make those connections to figure out what’s out there, what’s available, and then this idea of allowing yourself to take risks and experiment. And that’s something that I did personally in my career. I was at a firm, I also happened to try out entrepreneurship and I then I discovered this very unique position at LOMAP and it all worked out. But clearly, you need to take those risks. But let’s talk a little bit more about that transition from, let’s say, a traditional legal career and whether that’s at a large firm. Someone who maybe is an associate who is not really on partnership track wants to break out, do something else. Or maybe it’s a partner who has decided that they’d like to leave the law firm life, or maybe it’s a solo practitioner whose business has dried up, they want to try something new. When do you know that it’s time to make that change, how do you make that transition? What’s your advice for those folks? Lee Burgess: It’s hard, I think. I know that Alison and I have both debated leaving our positions at the firms and we have other friends and people who we work with who have made those decisions as well, it’s not easy, we are risk averse. So you want to feel like you can be confident in what you’re going to do next. I think that giving yourself some space to really explore what your options are, so networking and talking to lots of people, really discovering what the opportunities are out there. If you are a partner at a firm and you are unhappy and you want to go inhouse, you don’t have to quit to meet every inhouse lawyer that you can possibly meet to learn more about the different opportunities. Do you want to go to a startup, do you want to go to a different company; there are lots of different opportunities that are out there. If you think you want to be an entrepreneur, you should probably talk to a lot of different entrepreneurs and learn about what that reality is like and make sure that that sounds attractive to you. I think that a lot of work can be done while you’re still in your stable job so you feel like you can be confident about where you’re jumping to. And that’s if you’re in a happy-enough place that you can have the emotional and mental bandwidth to do that exploration. Some people feel like they don’t have the time to explore those options and so some people feel like they need to leave in order to take a step back and survey their life. So you have to really listen to yourself and reach out for help. I know a lot of people who’ve really benefited by working with some kind of a coach to kind of work through what they want from their lives, to look at the big picture to get some external feedback from someone who’s not a direct mentor. So you should really utilize all of your resources. I read a bunch of books about different entrepreneurs just to see people’s stories because I didn’t really know what it looked like to build something from your laptop by yourself. And then luckily I met Alison, and I don’t have to do it by myself anymore. So I just think that it’s important to take some time and to learn as much as you can, because I think the answers start to come to you when you really open yourself up to the world and think outside the box. I came up with my idea for Amicus Tutoring – which was my first business – staring out the window during lunch at my office after I had gotten some paperwork about possibly grading for the California Bar exam. And I had been trying to figure out what activity sounded good to me that wouldn’t require me to fully leave the law and then the idea popped into my head that I could possibly do some sort of teaching. You just have to be open to those ideas when they come. Alison Monahan: I think for me, I think it’s a bunch of things. The future is unknowable, so we can’t ever know that this is all going to work out fine. At some point I think you just have to trust the process. For me, I didn’t mind working in a law firm in a lot of ways, but at some point, the work life balance tradeoff just didn’t make a whole lot of sense. I was a patent litigator and I was at a firm that did a lot of trial work. So all of my cases were in Delaware. I was living in Delaware in a hotel for months on end at trial, and it was just crazy, it’s absolute insanity. And so at some point you start to look around at the rest of your life and you say, all I do is go to work, I can’t maintain any relationships with anyone. And so I think it gradually, for a lot of people, builds over time. And for me, what really motivated me to leave in the end was that I had this idea for The Girl’s Guide to Law School, which originally I intended to write as a book, that basically was going to be all the things I wish that somebody had told me when I was in law school. And it just wouldn’t go away. So I had this, in my third year of law school, it’s 5 years later, I’m at this firm, and my friends were saying, “Look, you’ve been talking about this for the last 5 years. Either shut up about it, admit you’re never going to do it, or do it.” And in order to do it, I basically had to quit. So I had to sit with that for quite a long time and then eventually, obviously, I left. Heidi Alexander: I think it’s really helpful for folks to hear from people like you who have done it and have done it successfully and it’s really helpful to actually get the confidence to do it yourself. But we’ve got to take a quick break, but I want you all to stay tuned because after the break we’ll be talking about how law students can prepare for the 21st century legal careers, not the 20th century legal careers. This is normally the space in our show where we offer words from our sponsors. This potentially represents a unique opportunity for you. The Legal Toolkit is seeking sponsors. You can hear your advertisement right here, what more could you ask for? If you’re interested, contact the team at Legal Talk Network at [email protected]. Heidi Alexander: Welcome back to the second half of our show with Alison Monahan and Lee Burgess of Trebuchet Legal Career Counseling. Now we’re going to transition to a discussion about law students and law schools, since Alison and Lee work closely with this population. What should students do during law school to help them prepare for the 21st century legal career? Alison Monahan: I think one thing is people need to be really realistic about what they’re getting into, and I think sometimes students think, I’ve gotten into law school, as long as I do okay – which that is a separate question, whether they’re going to do okay, but you know, assuming they do okay – like everything will kind of be laid out for me. And outside of the very, very top schools, that path of get a firm job and live a happily ever after, isn’t particularly realistic. And I think sometimes students don’t realize is even after you get that job, it doesn’t solve your problems, because 80% of people leave in the first five years. And so you’re still going to be left with this existential question what are you going to do and how are you going to do it. So I think starting to look around realistically early and not just kind of get sucked on to these pathways can only be helpful. Lee Burgess: I think some schools are also creating opportunities for you to meet a lot of people and while you’re in law school and talk to a lot of different lawyers about the possible paths. I think that I agree with Alison, you have to be realistic that the big firm reality might not be your reality, or you might not want it to be your reality. But then you need to start exploring different options. In three years in law school, you can actually learn a lot about the legal community and what your options are, but you have to hustle a little bit and meet people and network and put yourself out there. And I think if you do that, you might be amazed at some of the opportunities that could come to you, but you’re going to have to work for it. The jobs just aren’t being laid at your feet like they were a number of years ago. And Alison had made a comment to it, the other thing is, it’s terrible to say – and I’m not just saying this because we run a law school tutoring company – but you do want to pursue excellence in law school. Your options are going to be greater if you do well. And it’s not that you have to get straight A’s, which is almost impossible in law school with the hard curve, but you do want to learn your craft. Because if you’re a good lawyer, if you’re good at what you do, if you’re an excellent writer and you’re a great researcher, you’re going to be more successful and have more options open to you. So doing your best, whatever that best may be, and excelling in any way that you can is going to create more opportunities for you. Alison Monahan: Right, and I think just being proactive about what you’re specifically looking for. One of my good friends here is a lawyer and when she was in law school, she did – she told me – like six moot courts, because she knew that that’s what she wanted to do. And so she actually turned down the offer to be on law review so that she could do more moot court. Now if you ask the average law school advisor or professor, should you turn down law review, they would say no, you should never do that, that’s crazy. But it was a tradeoff for her, and looking back, she says maybe I would have had different options if I had accepted that, but the options that I had were the ones that I wanted. And I think getting clear about what it is that you actually want and then getting proactive about taking those opportunities will really benefit you in the long run. Heidi Alexander: Yeah, I think that’s an interesting balance, really, because you’ve got the core curriculum, like the contracts and the torts and what not, which is sort of the jury’s out in terms of whether that is actually preparing you for even a traditional career. And then you’ve got all these other activities that you can pursue that may be more important, especially if you’re going to pursue an alternative legal career. And Lee, you touched on this just a moment ago, but in terms of the skills that you can gain from your law school experience, whether it be to a traditional legal career or whether to be applied to a career like you two have right now. What sort of skills do you think you can really obtain in law school? Lee Burgess: Well I think Alison brought it up earlier in the podcast. This idea that you use law school to teach yourself to be an amazing student. Because no matter what kind of law you practice or if you open up your own business, you’re going to be asked to become experts in things very quickly. The litigation I worked on when I was practicing law was on topics that I had never even thought about. You have to go become well versed in technical terms, in processes, in business models, so you can even just do your legal job. So I think using law school to really train yourself to excel in learning is a great opportunity. But I also think that in today’s world where writing is such an important element of almost any job, you should really craft your skill and become an excellent writer and a communicator. Because now, especially that so much of our work is online over email, and if you do practice traditionally through the courts, you do need to be able to be an excellent writer and be able to write with professionalism. And I also think the last thing is to really learn how to be a professional. I think sometimes students go to law school and they kind of forget that it’s a professional school. You’re trying to join a profession that many people take very, very seriously. And you need to learn how to be a professional, and what that means – and that can be by building relationships with professors, it can be getting opportunities to work while you’re in law school. But you should learn from those around you. You might be in law school with people who have had a career previously. I was a consultant before I went to law school and so I had a lot of work experience before I went and decided to pursue a legal career; so I was able to take the professionalisms I learned and apply them to the law. So I think looking for those opportunities in law school will really build your skillset and make you marketable no matter what you’re going to do. Alison Monahan: Yeah and I agree with everything Lee said, I’ll just add sort of a slightly joking manner. When people ask me, what did you get out of law school; because I had previously done a different masters program that frankly is harder than law school. Never go to architecture school, if you go to law school, it’s hard. Particularly if you’re bad at being an architect – which I was; which is why I don’t do it. But anyway, it’s sort of a joke, but basically I learned to be aj erk on command. And I think there’s actually some deeper value to that. If you have that sort of confidence and you’ve been in these high pressure environments that law school is, and you’ve survived and you’ve gotten through and you’ve gotten through the exam and you’ve gotten through the Bar exam; it actually gives you a sort of fundamental, unshakable confidence that i can do this. And no one’s going to walk on me and have the whole force of the law behind me. And I find that useful even though we rarely have to pull that out these days. Lee Burgess: No, that’s absolutely true. I am the daughter of two lawyers and one thing my mom always used to tell me after I decide to go to law school was that once you’re a lawyer, you’re always a lawyer no matter what other role you’re playing. And that you do stand there with that prestige and that confidence that comes from having accomplished that, but also having the skills behind that. And you can use that in many facets of your life – hopefully for good, not for evil. But I think that is something that’s unique about the law. Heidi Alexander: Well, Alison, I actually train my attorneys to be cordial to each other, so you may have to take out that part. No, I’m just kidding. Alison Monahan: It sounds much worse than it is. It’s not actually about being rude or not being cordial, it’s really just about, well – I probably shouldn’t say what I was going to say because we’re on a podcast, nevermind. The FCC might come after us. Heidi Alexander: No, I see your point and I do think it does instill confidence in grads and that’s important. So let’s turn this around a little bit and let’s talk about law schools and what they are doing or not doing to prepare students for 21st century careers. Because this has been a very popular topic, recently appeared in Newsweek, there’s lots of different ideas out there reducing the number of years at law school, adding more practical or clinical work, eliminating professor tenure, using online education; the ideas are endless. So what are your opinions in terms of law schools? What can they do to help students prepare for the 21st century legal careers? Alison Monahan: Some of them are doing very interesting work, I think, at least that I’m aware of, in a lot of different areas. Thinking about law and design and technology together, I think it’s Michigan State that’s doing that. Georgetown I know has some interesting stuff with those coming in, they call the search before the search, where they try to really get people to think through these career issues and what they’re looking for in advance. So I think there’s a wide spectrum of schools trying to make change. I don’t think it’s easy. I wouldn’t want to be a law school dean at this point. I think that the outside pressure and the pressures of the economy are huge and they’re real and they have this sort of entrenched business model where professors are doing research and they’re not really teaching that much. And frankly, most professors at a lot of schools haven’t ever really practiced or they haven’t practiced for 20 years. So I don’t want to say they’re out of touch, but they’re sort of out of touch. And I think there are attempts to sort of get law students up to speed on things like technology, but you’re really fighting against the tide there, because a lot of these are people who went to law school because they’re bad at math or whatever. So I think it’s just a really sticky problem and I think the schools want to be, in some sense, are experimenting, and then it’s not clear what the market really wants. So I don’t think this is an easy problem by any stretch of the imagination. Lee Burgess: Yeah, I respect the stories that I hear coming out of the schools of the schools early creating opportunities for students to explore. I know that some schools are doing solo practice incubators, even allowing, really helping students to figure out how to graduate and start a solo practice. Creating different clinics, offering classes on starting your own business or being an entrepreneur. I think that’s great. I think the schools are going to be slower to change than maybe some people would hope, because they’re institutions, and institutions are always slow to change. I think that the law students themselves need to take a little bit of ownership over their career path too and make sure that they are taking advantage of the opportunities presented to them through the school. And if they see holes in those opportunities to figure out how to get that experience some other way. Either through externships or working or volunteering or networking. I think in the end, it is the student’s career path and they need to figure out how to gain the skills they want to be successful as well. Heidi Alexander: I hope the institutions are listening in to this; good ideas, good thoughts. Do either of you, both of you, have final thoughts that you can impart to our listener law students and lawyers that are seeking out new opportunities or seeking career advice? Lee Burgess: One thing Alison and I do talk about with each other and a lot of different lawyers is that although there is a lot of doom and gloom around the legal profession, the world still really needs great lawyers and lawyers are doing amazing things. We both are in San Francisco and we go to events where people fresh out of law school have started a nonprofit startup to provide legal services to an area in the Bay Area that had basically no free legal aid whatsoever. And they did that by just graduating from law school. That was their dream and I’ve heard people who are attorneys basically who are helping people in developing countries get land rights and are revolutionizing people’s lives by just helping broker deals for getting land; and lawyers are doing all of this stuff. So I don’t want people to get so negative about the law because we need them. We need lawyers doing amazing things and thinking outside the box. So as much as I think you can get frustrated with the realities, it is a chance for opportunity. Technology in the startup culture that we have going right now in our economy is a great opportunity for people who do want to do something different. You can change your corner of the world in any way that you want to by just coming up with something new. I am like Alison, if you had told me when I was in law school that this is what I would be doing, I would have probably laughed, but I am glad that we decided to try something new and build something from the ground up. I’m also glad that I’m able to participate in the legal community in the way that I am doing it. So I think one of the imparting words of wisdom is just please don’t get too discouraged because there’s a lot of good work to be done, there are a lot of amazing lawyers doing that work. But you should go out and meet them and become excited about opportunities because I think there are unhappy lawyers out there but there are a lot of happy lawyers too. So you should try and find them. Go to networking events, invite people out for coffee, send emails. When opportunities come up, say yes, that’s another thing we talk to a lot of people about, especially law students. If somebody offers to help you, say yes. If somebody says they will meet with you, say yes, because you never know where some of those networking conversations will lead. Alison and I met over Twitter. We went for coffee because we found out we lived within a mile of each other, and now, years later that we are still running these businesses together, you never know where a coffee date or an email or something like that might take you. Alison Monahan: Yeah, and I think particularly for students, that’s a great point because oftentimes, your school will actually pay for you to attend, say, a conference or a networking event. And if you’re not taking advantage of that, that’s just money and opportunity that you’re really leaving on the table. And in terms of resources that are available, there is so much available online at this point. A podcast like this one, or we know many other podcasts – they’re like the trendy thing today. But they’re really great information from people who are very experienced, very knowledgeable, and they’re willing to share that with you. And again, if you’re not taking advantage of those opportunities, you’re leaving them on the table. Whether it’s subscribing to a newsletter from a website like Lawyerist, or Solo Practice University or something that you’re interested in, or going in and talking to somebody like Heidi about your career path or about your practice. There are all these options and it’s just a question really of saying yes, and saying yes, I’m going to do this. I’m committed to this, I’m committed to being a lawyer, or I’m committed to not being a lawyer, I’m committed to doing something else. And just taking those steps day by day to really move yourself in the direction you want to go. It sounds a little pollyannaish, but that’s really the way that people get things done in the world. Lee Burgess: And be okay with challenging yourself to do something that maybe makes you a little uncomfortable. Sometimes it can be a little nerve wracking to ask somebody that you find impressive or that you respect to have coffee with you. That can be very intimidating, but you have to put yourself out there and do that. We just actually were at a conference in San Jose, a large women’s conference, where we were listening to Dr. Brené Brown talk about vulnerability and being uncomfortable. But that’s sometimes where great things happen, so you just have to be willing to take these little chances because you never know where it’s going to lead you. Heidi Alexander: So let’s say folks want to be proactive and they’d like to reach out to you and learn more about you and learn more about your experiences. How would they go about doing so? Alison Monahan: So the thing is, Lee and I actually answer pretty much every email that someone sends to us. So if you send us an email through the contact form on the Law School Toolbox which is LawSchoolToolbox.com, we will typically answer you, unless it falls into the ether and we apologize for that, but typically it doesn’t. We’ve actually formed mentoring relationships with law students and young lawyers who have just written us through the site and said, “Hey, I really appreciate this content you’re putting out; I have a question, could you help me?” And we like helping people do things. Most people do enjoy helping, so they can just drop us an email and visit the websites and we’ll be happy to help. Lee Burgess: Yeah, you should realize that everyone that you reach out to has their own network. And just today we connected a prospective law student with someone we knew, was an alumni at a school that she was interested in going to and now they’re having a quality conversation about her career choices. And because she just took the time to shoot off a random email because she had some questions. So take chances, there are a lot of people out there who are willing to help you. And our other two websites, if I could plug them, are the Bar Exam Toolbox, which is BarExamToolbox.com, and then Trebuchet Legal, which is TrebuchetLegal.com. Alison Monahan: And then I still also, in my spare time, run the Girl’s Guide to Lawschool. Lee Burgess: That’s a lot of spare time. Alison Monahan: Yeah, lots of spare time.